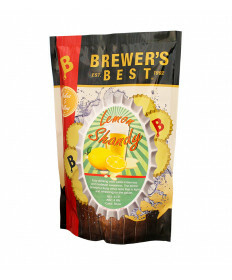 Shandy is beer mixed with a soft drink, such as carbonated lemonade, ginger beer, ginger ale, apple juice, or orange juice. The proportions of the two ingredients are adjusted to taste, usually half-and-half. 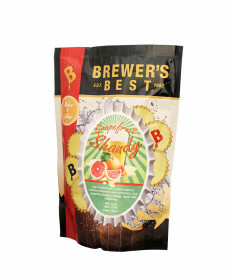 Our Brewer's Best (tm) Shandy kits are a great way to mix thing up (literally). Light and refeshing, these kits make a wonderful summertime refresher. With a choice of Lemon, Orange or Grapefruit, you are bound to find one that suits your tastes. Each kit makes 5 US gallons. 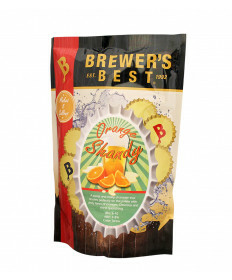 Yeast and sweetner are included, but each kit requires the addition of corn sugar for fermentation and priming sugar at bottling (for carbonation).